I am so happy that I finally got my hands on a red! 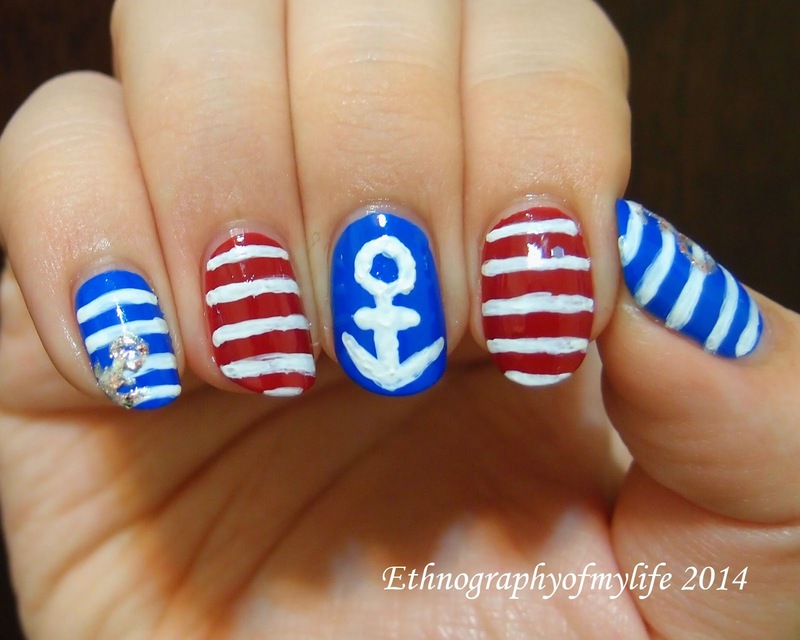 A simple navy style mani with anchor and horizontal white stripes. It's a very typical style that I often go for during the summer time. The featuring bottle is my new baby Marble's Girlfriend, which is a deep red. It changes the color from a dark purple into dark red while applying. 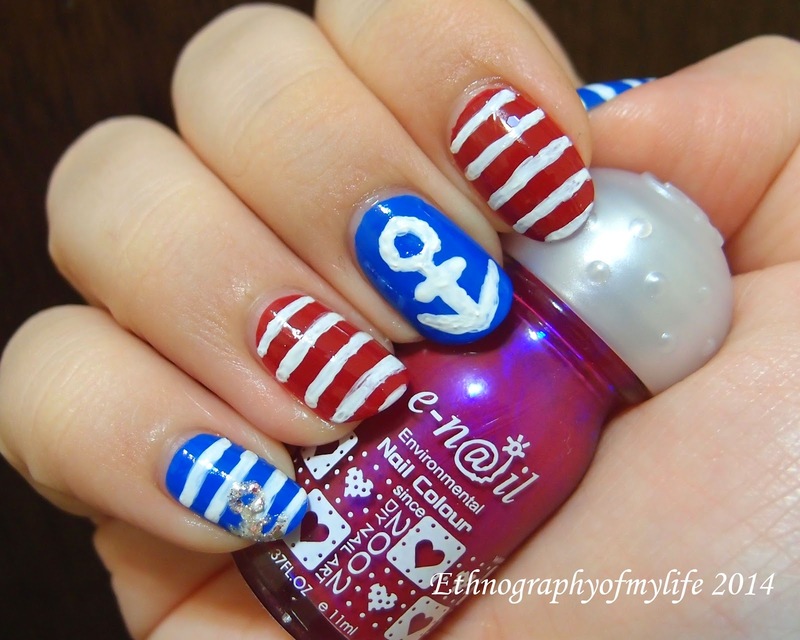 I used it with Popeye, My Wish and white paints to complete the look. I am very disappointed with Marble's Girlfriend, it's not the true red I was looking for at all. The biggest issue for using E-n@il exclusively is that I sometimes cannot find a particular color I wanted. Bottom line is that the brand is not for salon or nail-holic people, so they don't produce a lot of unique colors or made the unique ones limited editions. I guessed that I have to work with that, or to buy some other water-based nail brands when I head back to North America then.